Find out how and why this spontaneous blog post /shipment took place . It has all started with Khalil’s innocent comment on my Facebook status -> ‘poor’ Khalil did not know, that it will get him work to do. ->( Note: Well, that happens when you talk to me -> you either ship what you talk about -> lead by example in fixing what you don’t like or do not disturb me with your whining.) See its documentation bellow. Here is the result of our Facebook exchange -> ladies & gentlemen, let me introduce you Mr. Khalil Aleker (@khalilaleker) and his confession about #IS and more. 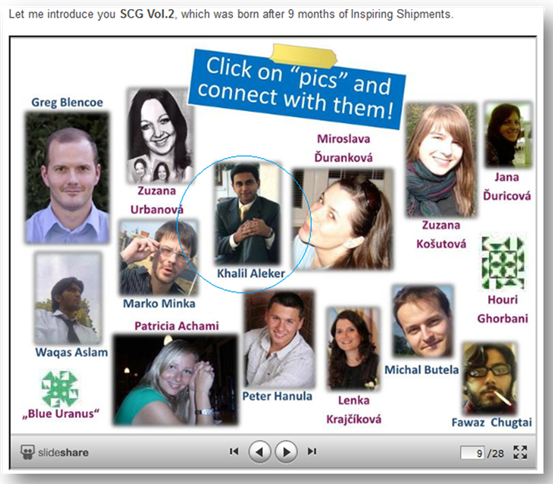 I joined #IS and #Super Cool Gang in May 2010 after I met Ivana via Twitter. Ivana is one of the most inspiring people I have not met in person (yet). Since “meeting” her I have collected courage and I have started my own company (part-time for now) -> www.procliviti.net, which focuses on Social Media Training & Consulting. It’s been a rollercoaster of emotions, sacrifices and challenges but very rewarding too. I am happy, that I could find plenty of inspiration for getting started right here at #IS blog. #IS community has taught me to be receptive to change, to love people you don’t know and love people you know even more. I learned that nothing is impossible. I started to take the risks in life/career and more importantly to share without expecting anything in return. I analyzed and summarised Ivana’s tweets for the past month. This alone is inspiring. Has #IS changed you? 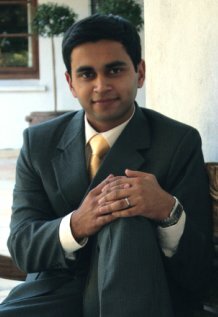 Tell me (us) in few words how IS has changed you? Thank you, Khalil for this precious shipment. It is always great to see and feel the impact of one’s art. Remember -> You Are Enough! Way to step up there, Khalil. 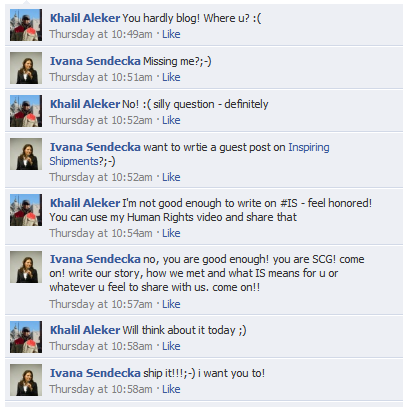 Ivana has inspired many of us to get up and ship. Thank you for sharing your story.